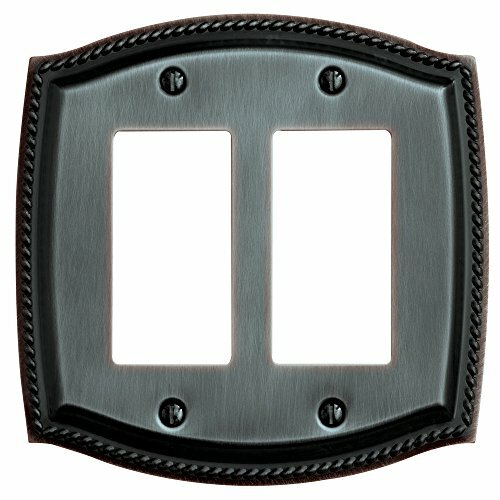 4797.112.CD Finish: Venetian Bronze Features: -Double GFCI switch plate.-Rope design. Color/Finish: -Venetian bronze finish or Brass. Dimensions: -Overall dimensions: 5.125'' H x 5.125'' W.